The decade is over (and has been for a year). 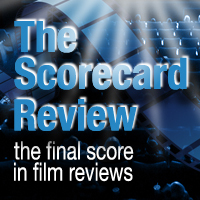 Now, we finally know what The Scorecard Review readers believe were the best of the best in the TSR Movie Awards. There were 501 total voters who voted. Yes, I know it's not technically a decade. We've been doing The Scorecard Review Movie Awards for eight years and decided it was time for a "Best of," hence the "(Almost)." If there is one thing we learned, it was The Decade of the Ledger, Heath Ledger. Ellen Page, Lord of the Rings, Meryl Streep, Avatar and Leonardo DiCaprio all had their moments as well. I will offer complete commentary on each individual category so stay tuned for that. Look for The 9th Annual TSR Movie Awards in February 2011. 2008 - Meryl Streep - Doubt, Mamma Mia!